tulle is perfect for every occasion | stesha rose. 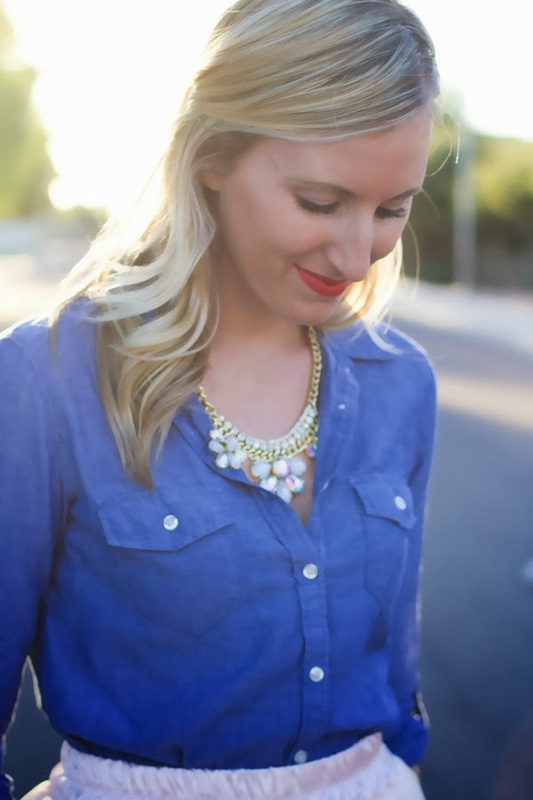 I am so excited to be back blogging and chatting with you ladies! I have missed you so! I arrived safely back in Arizona and it has been crazy since I pulled into the driveway, but that is never a bad thing. I love getting back to reality after a little 3 month break. This week is Phoenix Fashion Week! Eeeek, so very excited for all the fun shows, fabulous ladies, and of course the launching of new lines. Today starts the kick off to Fashion Week with a breakfast in the morning + then back for the Fashionably PINK show tonight, which is in honor of breast cancer awareness. The week will continue on Thursday, Friday, + Saturday..... it is almost like Christmas I can barely wait. Although Fashion Week is exciting, the picking of the wardrobe is not always so easy. I have been spending multiple days looking at my closet + scanning the stores to find something just perfect. I think tonight I will be styling the skirt above, it is fun, feminine, & the perfect statement. Keep up with me as I go on my journey of PHXFW on Instagram & Twitter. I will be giving play by play + showcasing some of the fun fashion that is hitting the runway! OOh yes!!! Tulle really is perfect for every occasion. Love how you styled this skirt! It really is so hard to pick out an outfit for a fashion event. This tulle skirt is so gorgeous! Love how you styled it! What a beautiful skirt, I just love it! 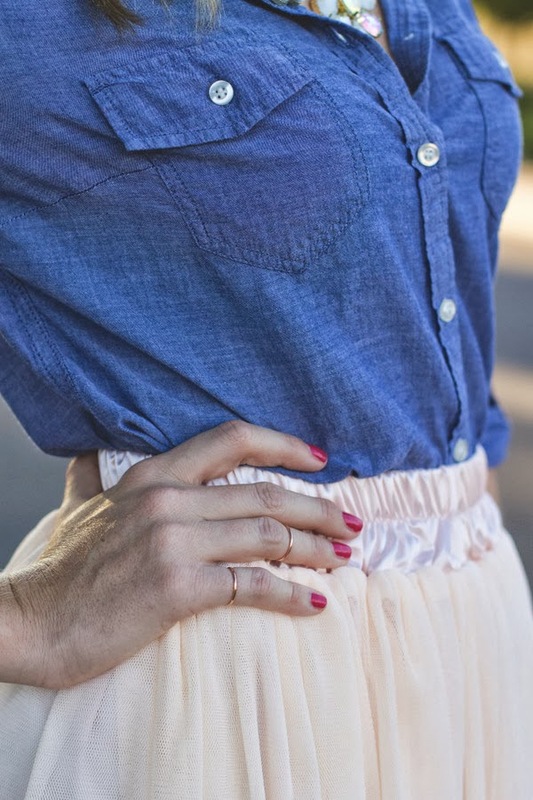 I love tulle so much, and the chambray is perfect with it! You look beautiful! Love all the accessories you added. The shoes, necklace and bag are amazing. Love that tulle skirt. IT's definitely on my wish list. Looking amazing Stesha. Glad you had a safe trip back. that skirt is absolutely gorgeous! i like how you put together a mix of fancy & casual. 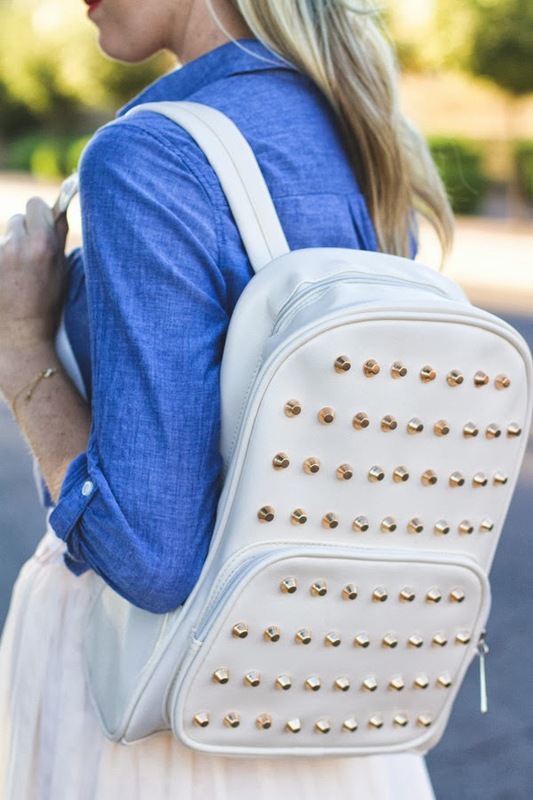 the shirt offsets the skirt, and the backpack offsets the heels. really cute & creative. Yay, welcome back Stesha, I missed you! Love this tulle skirt on you! You can pull it off well! Wish I could! love the skirt! totally want one myself!! 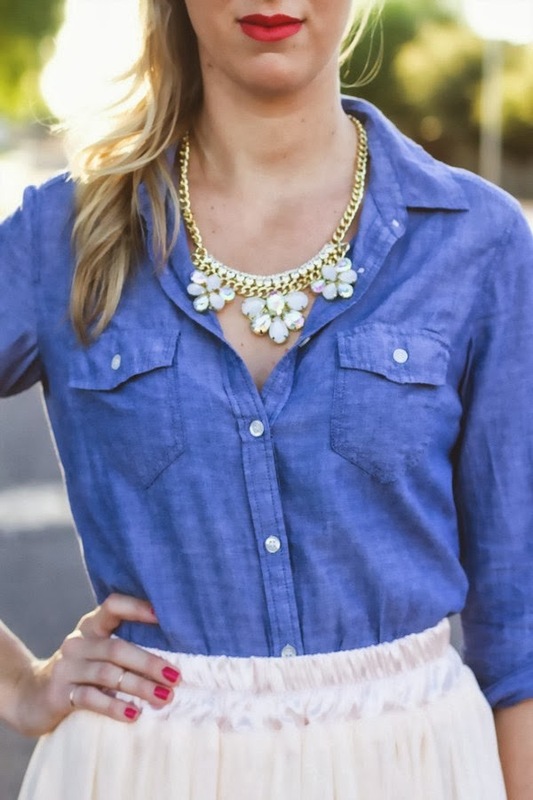 It's amazing how u paired the tulle skirt with chambray :) Love the necklace as well! Enjoy Fashion Week. And you are right - there is never, ever a timne when tulle isn't a good option! !